October 21, 2018 11:12 am. Much-travelled Sydney sprinter Ball of Muscle’s next stop is Perth after recent wins in Melbourne. In-form Sydney sprinter Ball Of Muscle won’t play any further part in the Melbourne spring carnival with trainer Joe Pride instead setting his sights on Perth. 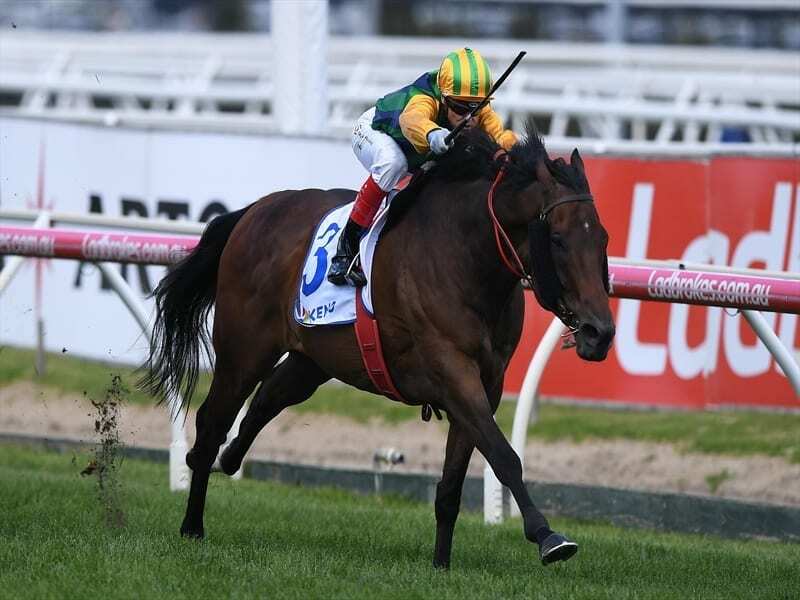 Pride confirmed Ball Of Muscle and stablemate New Tipperary would head west for the feature summer carnival races with the former to target the Group One Winterbottom Stakes. “I think the track at Ascot will really suit him. It’s a turning sort of track and those tracks suit this horse,” Pride said. “He’s got a real advantage off the bends and you saw that the other day, how well he can accelerate. Eight-year-old Ball Of Muscle has arguably been in career-best form this preparation winning three of his four starts, including his most recent in the Group Two Schillaci Stakes at Caulfield on October 13. The Manikato Stakes at Moonee Valley on Cox Plate eve looked a logical next step but Pride said it wasn’t the most suitable track for Ball of Muscle who failed there in the Moir Stakes and he wanted to concentrate on Perth. “I’ve got to prepare him specifically for this race and that’s what we’re doing at the moment. It was six weeks from Saturday so we’ve got plenty of time to get him ready,” Pride said. Pride trained Ball Of Muscle’s siblings Tiger Tees and Terravista to Group One wins and said the three were all late maturers who had experienced feet problems early in the careers. Stablemate and Cameron Handicap winner New Tipperary will join Ball Of Muscle in the west where his goal will be the Group One Railway Stakes.